You’ve heard of Kathy Bates and Queen Latifah, right? What about Susan Moses? Susan is the woman behind some of the styles you’ve seen on celebrities like Bates and Latifah. Susan Moses, has been a celebrity stylist for years and she just put her decades of knowledge into a book. Wait! you can’t afford your own Hollywood stylist? No problem this book IS your personal stylist. 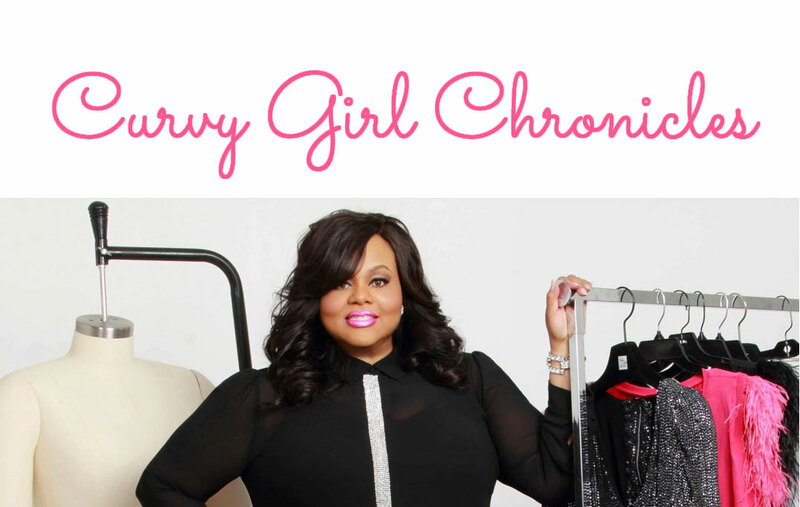 It’s basically a DIY your style guide for the curvy gal. It’s the Ultimate guide to styling your curves. Q. Why this book, why now? A. I’ve always wanted to write a book, that’s something that his been in my heart for several years now. I always wanted to do something beautiful for curvy women. The fashion and beauty industry are not really talking to women with curves, not in print. I thought it was really important to do. I talked to women and I found a need for people to really understand what worked for their body type. It shouldn’t be a hardship. We are all different, we inspire each other, no matter what size or ethnicity we are. Q. If someone could read only one chapter in The Art of Dressing Curves what chapter would you suggest ? A. You must read Body Talk, your reflection is perfection. That’s because it’s about accepting yourself wholly and accepting everything about you. Q. Where do you see the future of plus size fashion going? A. I think eventually all sizes will be fully integrated into fashion. If you have all sizes, including 14 and up, there is no need for a plus size section. Q. There are so many lovely fashion images in the book, how did you decide what pictures to use? A. I’m Inspired by all women in general and great style. It was important to me, for this to be a beautiful book, I wanted it to be eye candy. Q. What is the message you want people to get out of this book? A. All women should be valued equally, we should all be included in the conversation. Q. Let’s talk about some of your styling experiences for a moment. A. My First album Cover was A Freak Like Me by Adina Howard. I worked with Brandy for years, she’s the reason I relocated to Los Angeles. I’m back in New York now. I don’t work with just plus size celebrities. I’ve worked with Britney Spears early on in her career, the original Destiny’s Child, and gospel group Mary Mary – so I’ve had the full scope of working with different body types and I’m a full figured woman myself. Q. What was your most challenging styling experience? A. I was booked to do a magazine cover for a celebrity, she got off plane after travelling through Europe and her team didn’t tell me that she only wore denim and black and they sent me old sizes from like 10 years ago. She was not happy. However, because I maintained a calm demeanor I was able to turn it around. After we did the shoot, she purchased everything and even apologized. Q. Now, what was your best celebrity styling experience? Oscars 2003. I dressed Queen Latifah and Kathy Bates for the entire Oscars. I had a great time, it was a wonderful experience. You know, it’s not just Oscar night, it’s lunches and parties, everything. Q. I love that you showed Mode magazine, a plus size magazine that ran from 1997 – 2001. 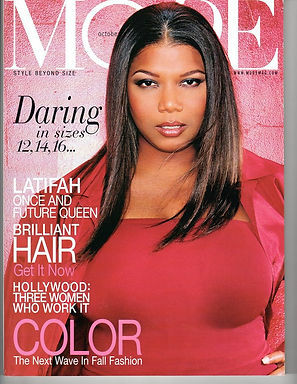 A. I had to put Mode in there, Queen Latifah on the cover was epic, one of my favorite styling experiences. Credit: Marc Baptiste, Mode, October 1999, courtesy of Mode magazine. A. I have a lot of respect for bloggers, for calling out the industry and it was hard to narrow down the bloggers. The guide is my crowning jewel in the book. I want to make sure she [the reader] has a safe place to go, a celebration for curves; I want her to know where she can get what she needs. Q.Will there be a book number two? A. Too soon, but I would never say never, this book was a labor of love, I want to enjoy this one first. Q. Fill in the blank Susan Moses is the antithesis of Negativity!! I’m always looking on the bright side.